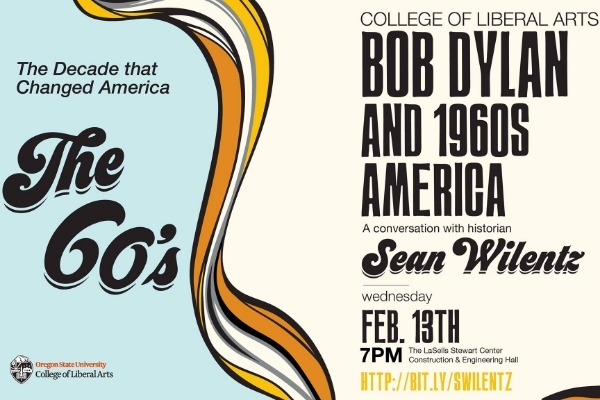 “Bob Dylan and 1960s America: A conversation with historian Sean Wilentz” will be held at 7 p.m. Wednesday, Feb. 13, in the LaSells Stewart Center at Oregon State University in Corvallis. The talk is free and open to the public. The LaSells Stewart Center is located at 875 SW 26th St., Corvallis. Accommodations for disabilities may be made by calling 541-737-1228.